The 2002 No Child Left Behind Act is the most important legislation in American education since the 1960s. The law requires states to put into place a set of standards together with a comprehensive testing plan designed to ensure these standards are met. Students at schools that fail to meet those standards may leave for other schools, and schools not progressing adequately become subject to reorganization. The significance of the law lies less with federal dollar contributions than with the direction it gives to federal, state, and local school spending. It helps codify the movement toward common standards and school accountability. Yet NCLB will not transform American schools overnight. 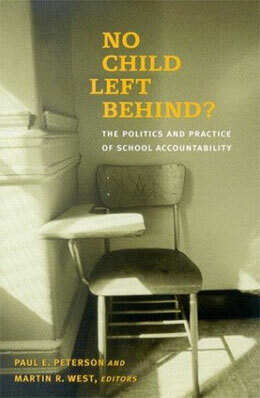 The first scholarly assessment of the new legislation, No Child Left Behind? breaks new ground in the ongoing debate over accountability. Contributors examine the law's origins, the political and social forces that gave it shape, the potential issues that will surface with its implementation, and finally, the law's likely consequences for American education.